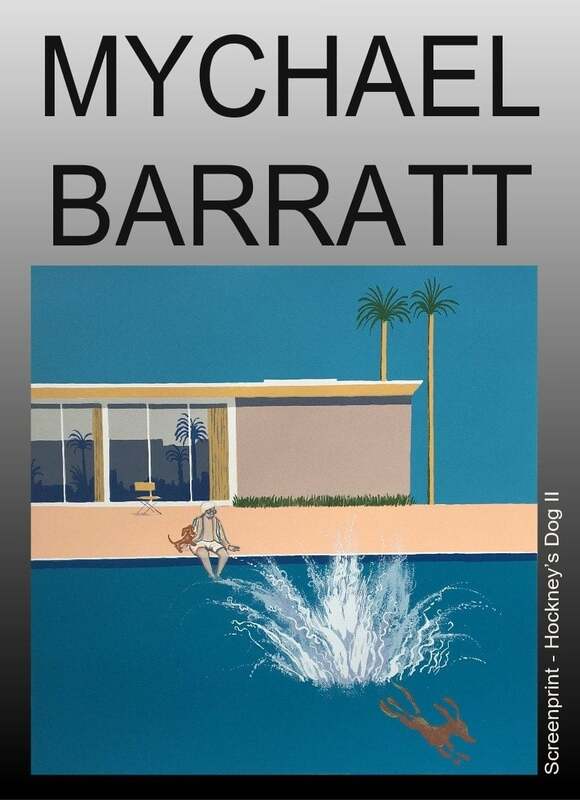 Mychael Barratt, past President of the Royal Society of Painter Printmakers, exhibition opening Monday 3rd December until 14th January 2019. 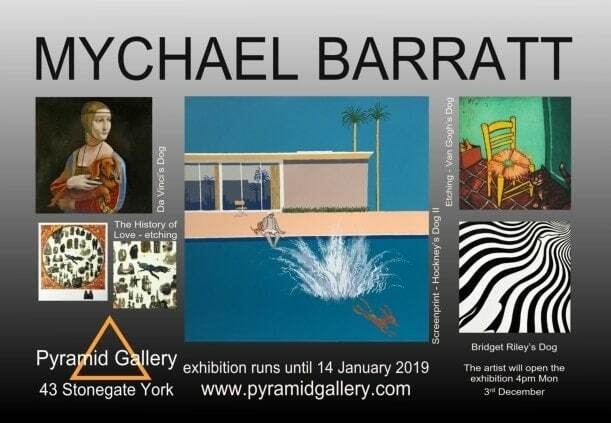 Mychael will be in York to open this exhibition between 4pm and 6pm. And at 7.30pm will be giving a talk to the York Artworkers Association at Jacob’s Well, Trinity Lane, Micklegate, York. You do not need to be a member of York Artworkers for this event. Entrance is £5 for non-members at the door from 7.15pm. This meeting is also the Association’s Christmas party, after the talk between 9 and 10pm. Bring a bottle. Mychael is a narrative artist who was artist in residence for the Shakespeare Globe Theatre until 2005. In 2011 he was commissioned for a 100m square mural on the Mile End Road. 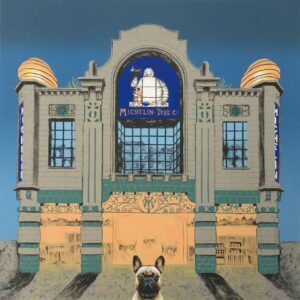 His work is held in the British Library and the V&A and he is the creator of the highly successful series of amusing etchings that depict famous artists’ (imagined) dogs. 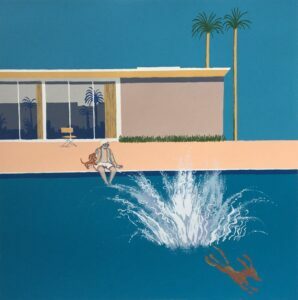 His first etching of Hockney’s Dog showed his Dachschund leaping into the pool, with reference to Hockney’s famous painting ‘A Bigger Splash, 1967’ sold out within a few months. Mychael revisited this theme in 2017 with a larger version as a screenprint. 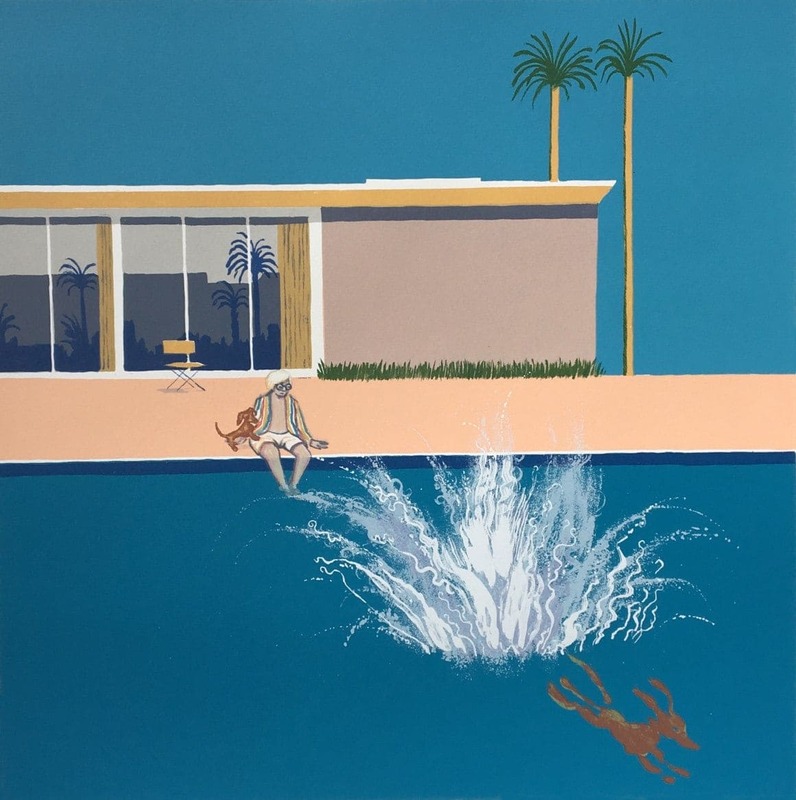 This too sold quickly and Mychael has now editioned a new screenprint entitled ‘An Even Bigger Splash’, this time with David Hockney sitting by the side of the pool with his other Dachschund. 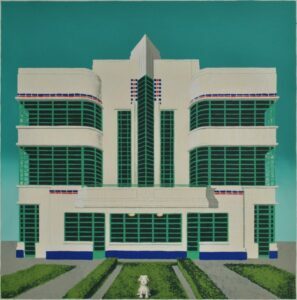 The two Dachshund’s were known to Hockney as Stanley and Boogie. 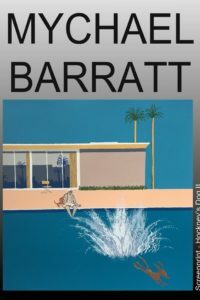 Mychael Barratt was born in Toronto, Canada, however, considers himself to be a Londoner since arriving for what was supposed to be a two-week stay thirty years ago. In 2011, just prior to the 2012 Summer Olympics, he was commissioned to paint a large-scale mural on T. V. Edwards Solicitor’s building on the Mile End Road. 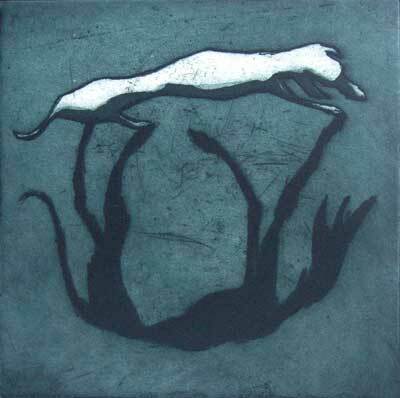 He is a Fellow of the Royal Society of Painter-Printmakers and in 2013 was elected to be its twelfth President. 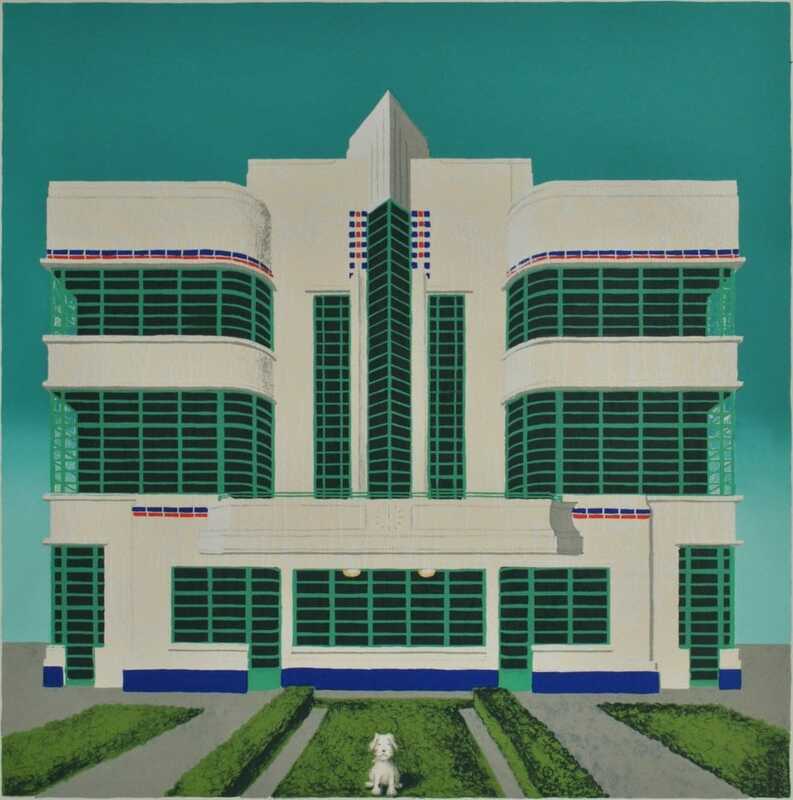 His work is held in many important collections including Her Majesty The Queen, British Museum, the British Library, Ashmolean Museum, V & A Museum, and the Jiangsu Museum of Contemporary Art. 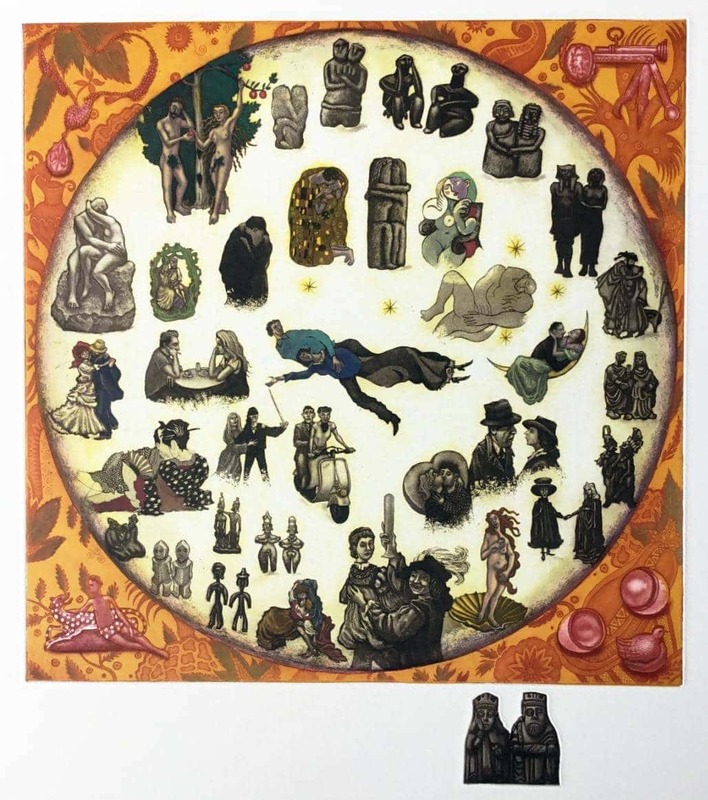 This exhibition includes new black and white etchings plus a new handcoloured etching called the History of Love. 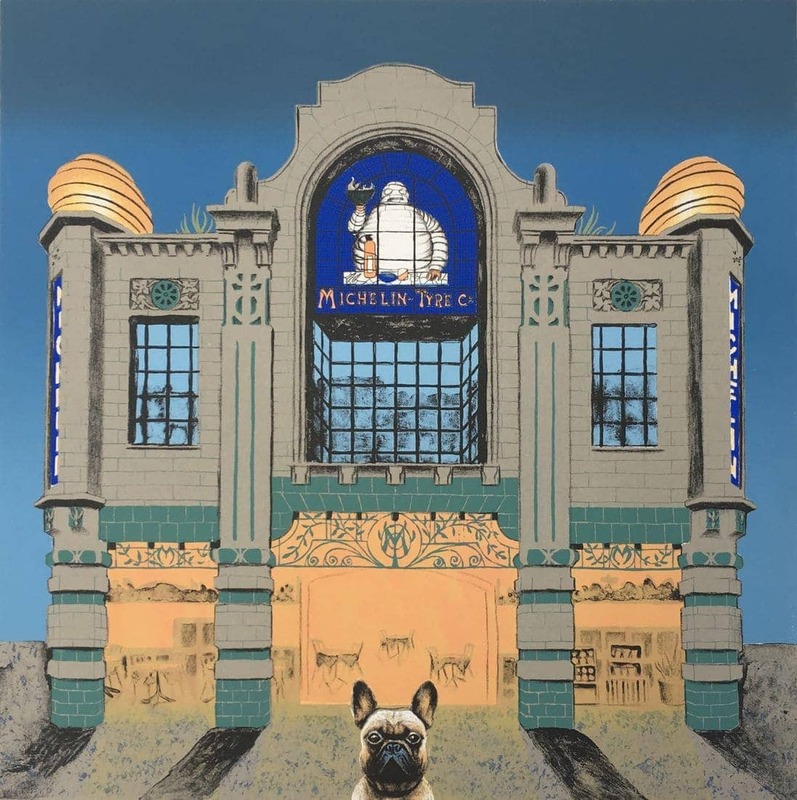 Already nearly sold out are two screenprints that are variations of his bestselling ‘Hockney’s Dogs’ series, this time featuring the artist David Hockney himself. Pyramid always keeps a selection of the Dogs. 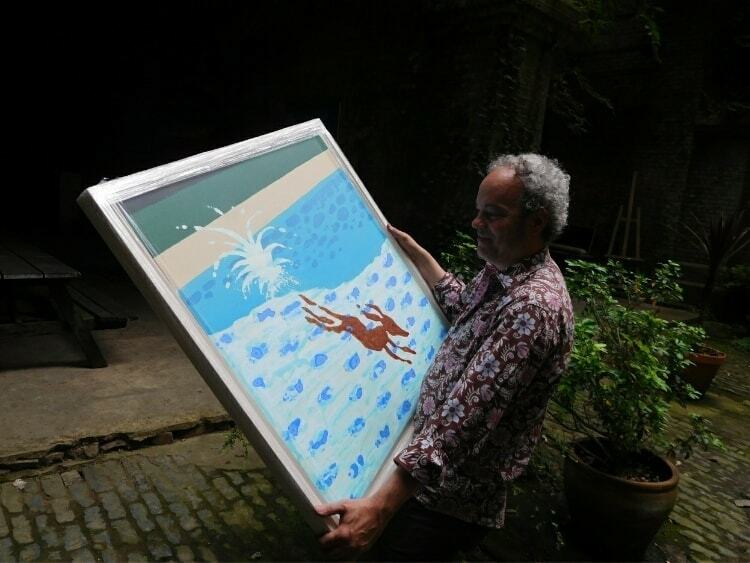 Mychael Barratt at his studio in 2016 with a painting of ‘A Bigger Splash’. This painting has been sold. NEW WORKS in this exhibition …..